For almost 130 years, Ridley College has earned an international reputation for preparing young men and women for university studies throughout Canada, the United States and around the world. Founded in 1889, and co-educational since 1973, students from over 60 countries are represented on campus in a collegial atmosphere where living and learning coexist. Ridley College is a Global Village in action. Situated on a 90-acre campus, Ridley College's superior facilities include a 350 seat performing arts centre, modern classrooms and labs, a beautiful Gothic chapel, ice hockey arena, two gymnasia, swimming pool, tennis courts, 10 playing fields, and fitness centre. A fibre-optic network linking hundreds of laptop computers provides students with campus-wide wireless Internet access. Ridley College has an outstanding athletic tradition and offers strong programmes in music, drama and visual arts. Ridley's academic curriculum is a non-semestered, advanced level programme, augmented by SAT preparation. Ridley College offers the O.S.S.D. and is the only co-ed independent boarding school in Canada to offer the International Baccalaureate (IB) continuum programme. Financial assistance, including merit-based scholarships and need-based bursaries, is awarded to approximately 30% of our student body annually and exceeds $2.5 million. 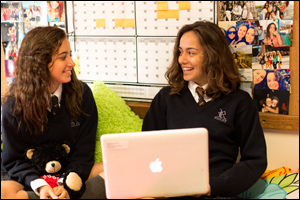 To learn more about Ridley, 'like us' on Facebook , follow us on Twitter @Ridley_College , watch videos on our Youtube Channel and read about life at Ridley on our Ridley Student Life Blog. If you have any questions about the admissions process or you would like to arrange a tour, please email admissions@ridleycollege.com.